Welcome to the official page of the Cite Black Women movement! "I have come to believe over and over again that what is most important to me must be spoken, made verbal and shared, even at the risk of having it bruised or misunderstood." - Audre Lorde, "The Transformation of Silence into Language and Action"
In November 2017 Christen A. Smith created Cite Black Women as a campaign to push people to engage in a radical praxis of citation that acknowledges and honors Black women’s transnational intellectual production. It started out with t-shirts with the simple phrase "Cite Black Women." 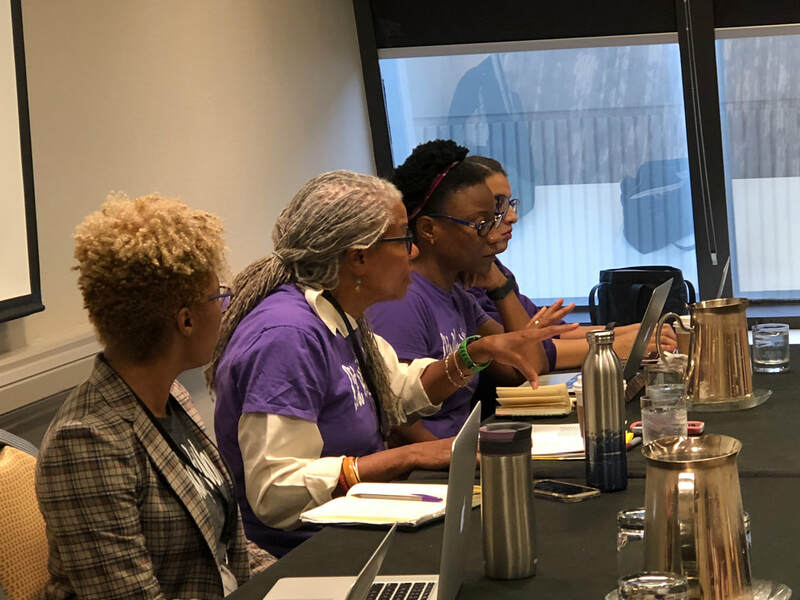 The idea was to motivate everyone, but particularly academics, to critically reflect on their everyday practices of citation and start to consciously question how they can incorporate black women into the CORE of their work. From there, the movement grew, expanding to Twitter, Instagram and Facebook and establishing the hashtags #CiteBlackWomen and #CiteBlackWomenSunday. Now we are growing even more, including a new podcast, blog and this website. As Black women, we are often overlooked, sidelined and undervalued. Although we are intellectually prolific, we are rarely the ones that make up the canon. Recognizing this, Cite Black Women engages with social media, aesthetic representation (our t-shirts) and public dialogue to push people to critically rethink the politics of race gender and knowledge production. Everyone, but particularly those people in the academy, should critically reflect on their everyday practices of citation. Because of this, we came up with our 5 Guiding Principles. Think of them as practices to live by. #2 - Integrate Black women into the CORE of your syllabus (in life & in the classroom). 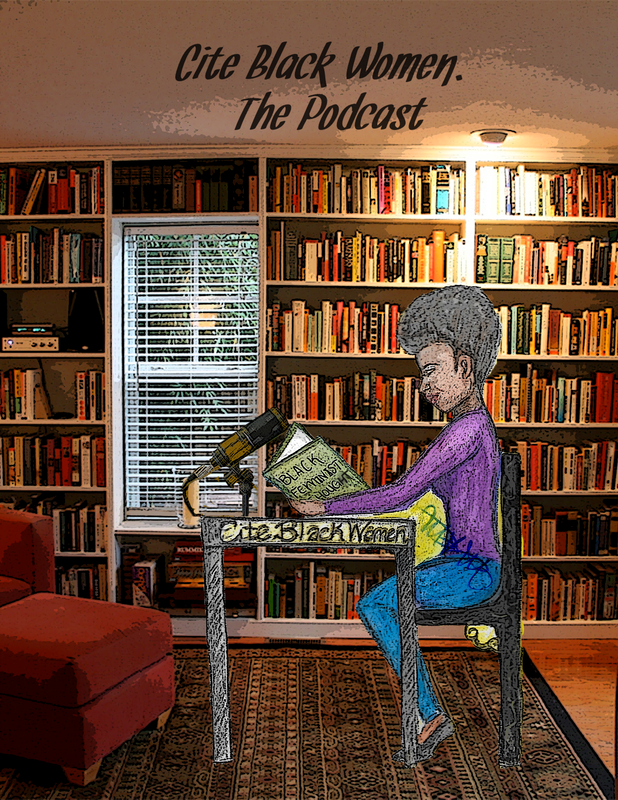 #3 - Acknowledge Black women's intellectual production. #4 - Make space for Black women to speak. Proceeds from our t-shirt sales support grassroots initiatives led by Black women. Learn more about our 2018 campaign to support the Winnie Mandela School in Salvador da Bahia, Brazil. It takes a village to organize a movement. 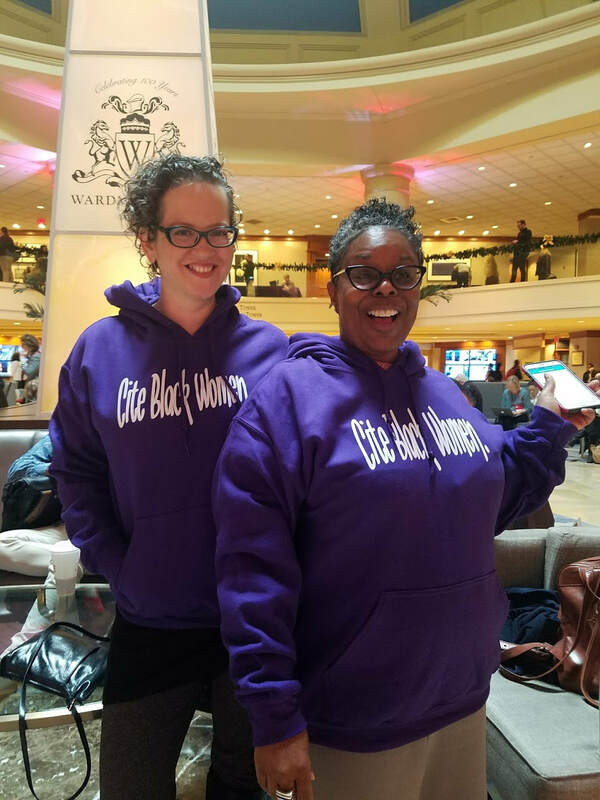 The Cite Black Women Collective is our team of visionaries that drives the Cite Black Women movement out front and behind the scenes.